Sometimes you just really need a good stock pot. As we started making sugar this year, I thought… you know, it’s about time to get a new pot, so I went on Amazon and read a bunch of reviews, then finally settled on this puppy . It arrived in time to finish up our sugaring… in fact, I’ll be putting another batch through tomorrow. Supposedly, this model is a 20-quart, like my old one, but I’ve found that the capacity seems to be higher than that. It’s definitely bigger, and much more solid. The handles are also a lot less flimsy. What a huge upgrade. The metal is a lot thicker, the lid has a perfect fit, the base is sturdy and it doesn’t burn stuff. With how much jam making and food processing we do – not to mention the size of our family – it was worth the high price. The only downside to this pot is the fact that it was made in China. At least it was made well… unlike most of what I’ve found for sale locally. By the way, doesn’t the giant name kind of crack you up? “New Professional Commercial Grade 20 QT (Quart) Heavy Gauge Stainless Steel Stock Pot, 3-Ply Clad Base, Induction Ready, With Lid Cover NSF Certified Item” doesn’t exactly roll off the tongue. I suppose the name sums it all up, but I’m imagining selling these via telemarketing. like posting it here first. 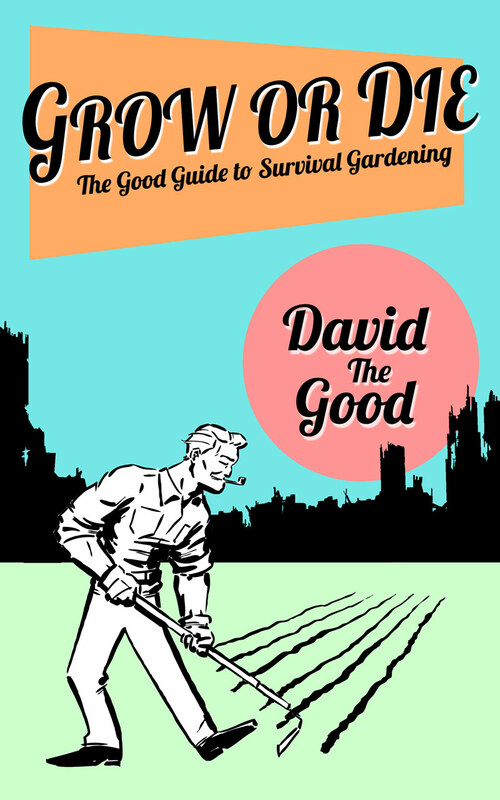 David the Good/Survival Gardener/David Goodman/Winky was not paid to recommend the “New Professional Commercial Grade 20 QT (Quart) Heavy Gauge Stainless Steel Stock Pot, 3-Ply Clad Base, Induction Ready, With Lid Cover NSF Certified Item” and has never worked for, nor had a family member work for the manufacturers of the “New Professional Commercial Grade 20 QT (Quart) Heavy Gauge Stainless Steel Stock Pot, 3-Ply Clad Base, Induction Ready, With Lid Cover NSF Certified Item.” Of course, if you buy it on Amazon from this site, Dave will make a few cents, but still, that barely counts. Additionally, any resemblance of the “New Professional Commercial Grade 20 QT (Quart) Heavy Gauge Stainless Steel Stock Pot, 3-Ply Clad Base, Induction Ready, With Lid Cover NSF Certified Item” to any other stock pot, living or dead, including the “New Professional Commercial Grade 16 QT (Quart) Heavy Gauge Stainless Steel Stock Pot, 3-Ply Clad Base, Induction Ready, With Lid Cover NSF Certified Item” is purely accidental. 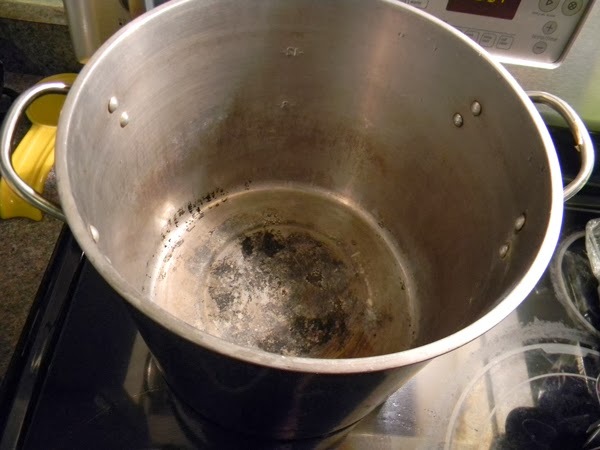 Past performance of the “New Professional Commercial Grade 20 QT (Quart) Heavy Gauge Stainless Steel Stock Pot, 3-Ply Clad Base, Induction Ready, With Lid Cover NSF Certified Item” is no guarantee of future results. 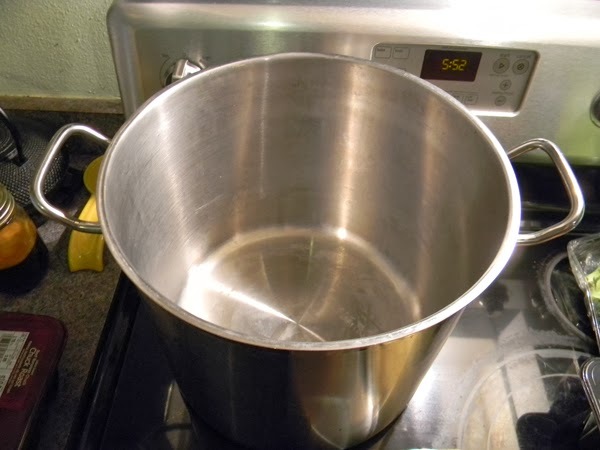 Talk with your doctor before administering “New Professional Commercial Grade 20 QT (Quart) Heavy Gauge Stainless Steel Stock Pot, 3-Ply Clad Base, Induction Ready, With Lid Cover NSF Certified Item” to children under the age of five. 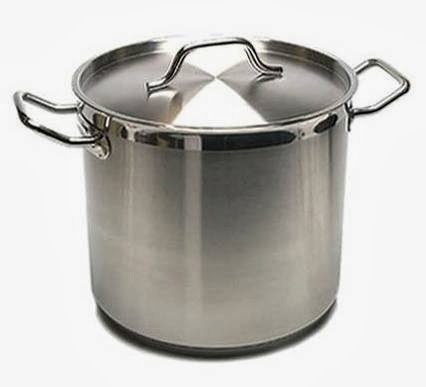 The makers of the “New Professional Commercial Grade 20 QT (Quart) Heavy Gauge Stainless Steel Stock Pot, 3-Ply Clad Base, Induction Ready, With Lid Cover NSF Certified Item” are not responsible for any injuries caused by the misuse of the “New Professional Commercial Grade 20 QT (Quart) Heavy Gauge Stainless Steel Stock Pot, 3-Ply Clad Base, Induction Ready, With Lid Cover NSF Certified Item” and cannot be held liable for accidental boilings, toe injuries, drownings or explosions of meat broth. Induction cooking is probably the newest tendencies inside cooking industry as well as reputation accumulated a great deal of optimistic comments coming from chefs in addition to homeowners. Whatever meal or maybe formula you need to make, it's likely that, you'll be acquiring amazing results using the Induction cookware. For $60+ it had better be a good pot. 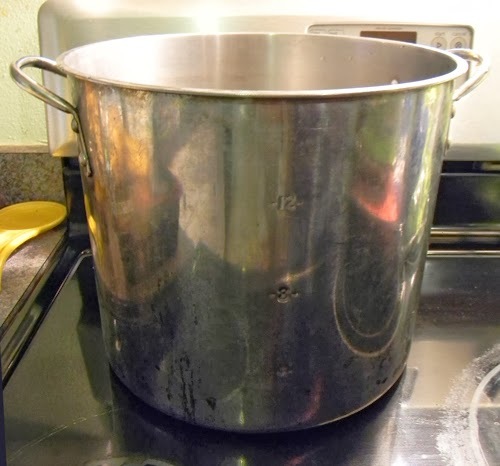 I have never paid that much for a stock pot. On the other hand, I don’t do any sugaring, (Do you mean sugar cane? I know you are way too far south for Maple syrup.) and I have only made small batches of refrigerator jam. 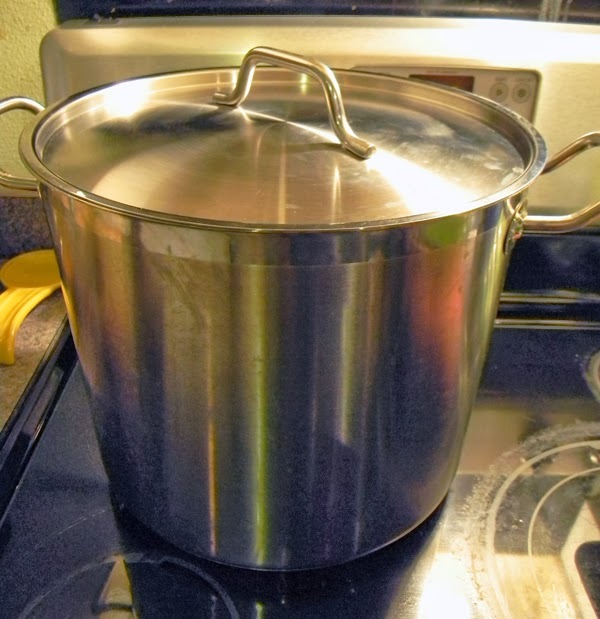 The cheap pots I have work fine for boiling down stock or tomato paste. 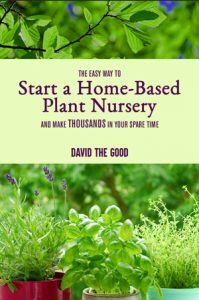 I prefer pickling and dehydrators for most food preservation projects, but am thinking of canning the tomato paste instead of drying it in future. Yeah, it’s the bomb. I really dig it. 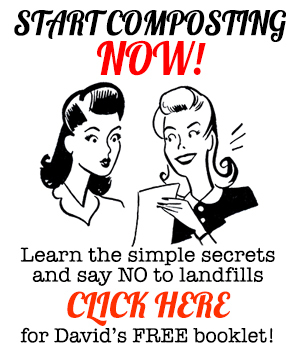 I’ve owned multiple cheap ones over the years – it makes a difference. And yes, sugar cane.